My first pumpkin craft of the season! I think these would look great in a child’s bedroom, and I’m positive my daughter will snag them ;) Please take a look at the tutorial below. This craft was super easy, and the results are pretty. My kind of craft! Begin with a clean white pumpkin. Download the colors sheet I created for this project or use any other pastel paper of your own. 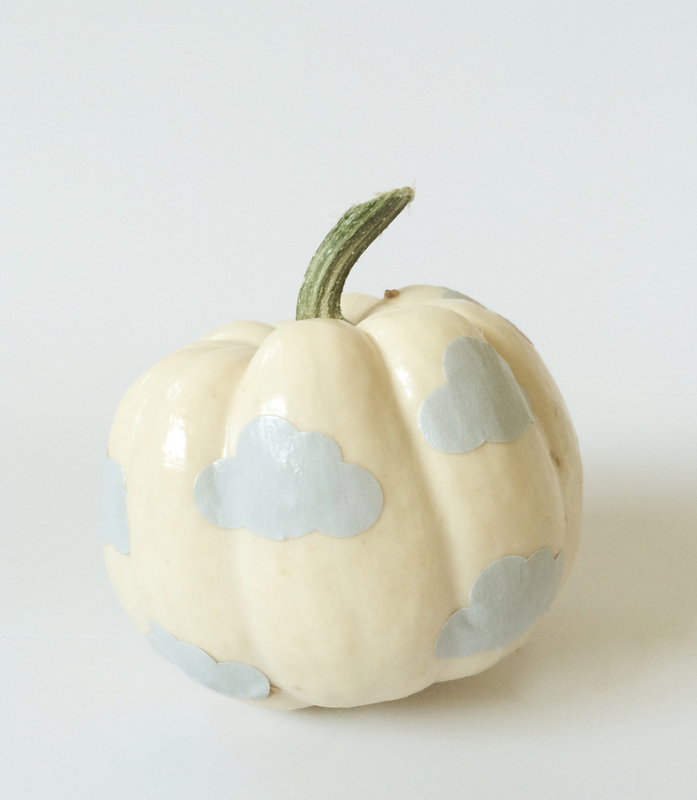 Punch a few “clouds” and use mod-podge to glue them to your pumpkin. 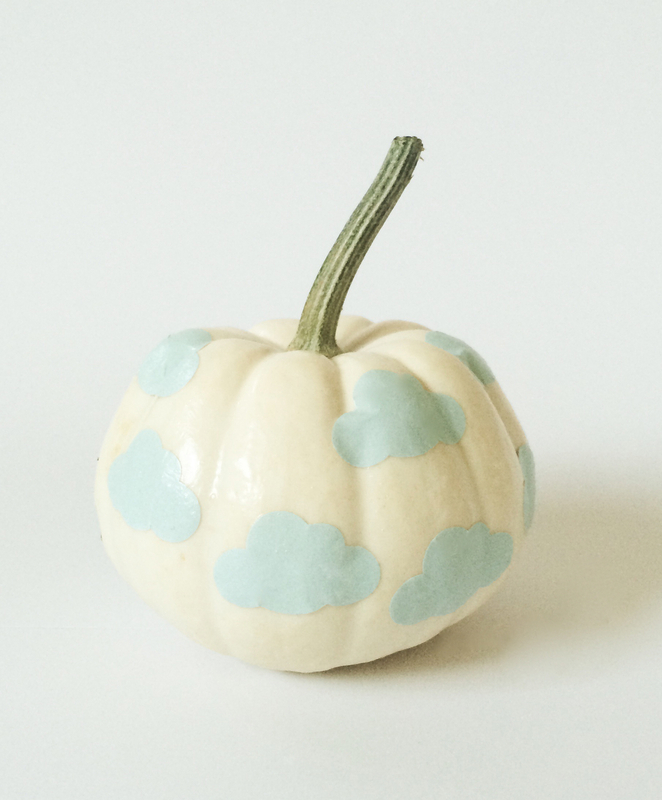 Once all the clouds are glued, apply one layer of matte mod-podge. What I love the most about this craft is that there is no carving involved. 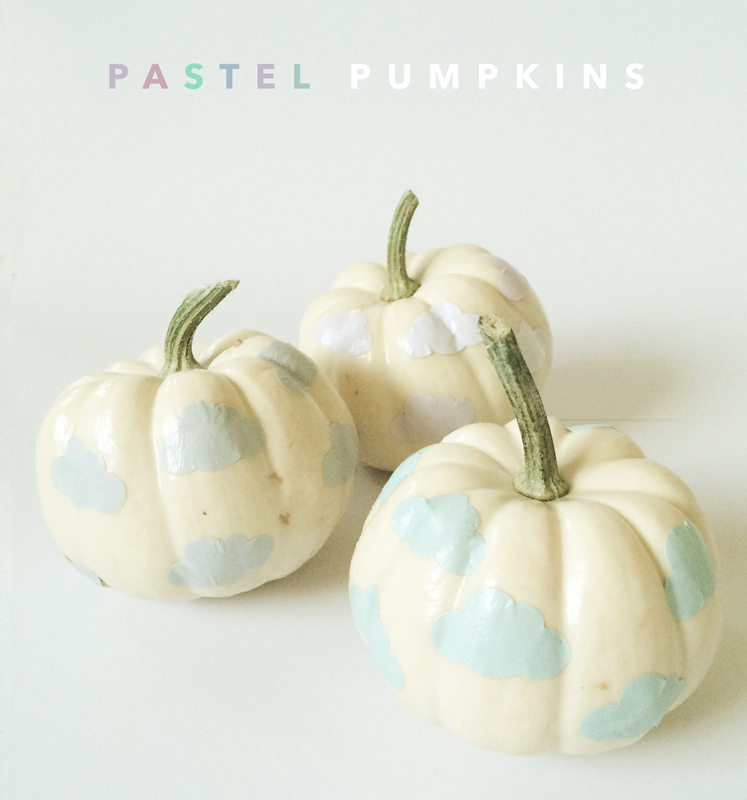 Little ones would enjoy making these pastel pumpkins so much! I think I’ll make a second batch with the kiddos. As always, I’m thankful you stopped by and if you are not following my blog, please click on the “follow kraft&mint” button on the right column. Cheers and drop me a line with your thoughts:0) Your comments always make my day. Oh, it’s SO CUTE. 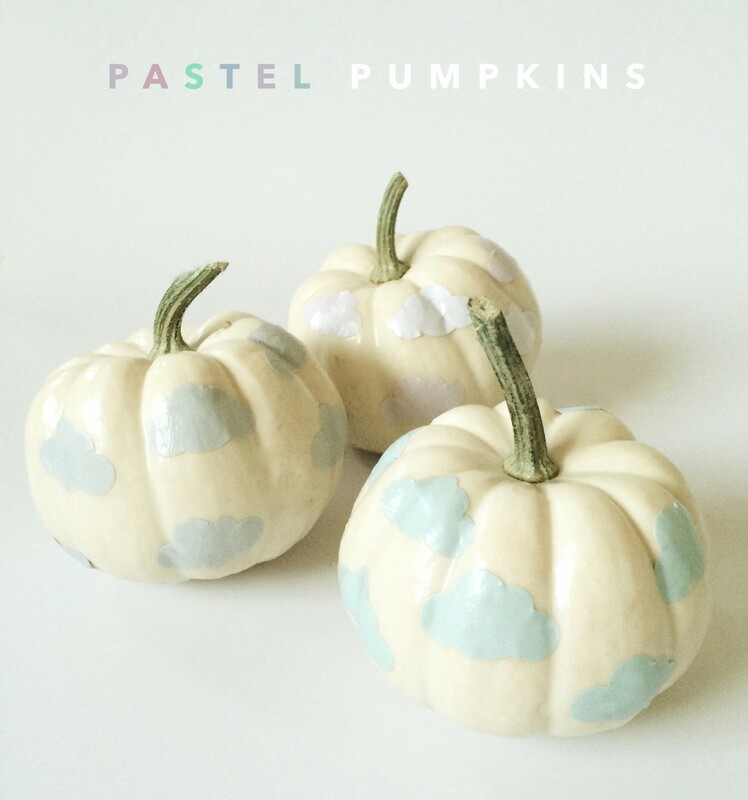 I love the pastel with the yellowish of the pumpkin- so subtle and pretty. I love this brilliant artistic idea! 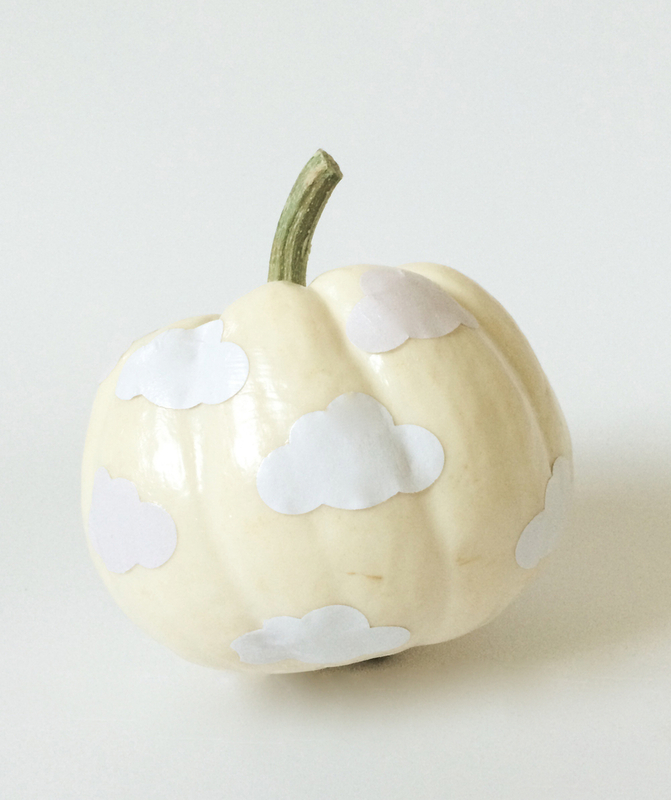 The clouds glued to the sides of the pumpkin, really makes the vegetable look like some kind of a special fruit. I’d love to try this with a faux pumpkin, just so that I can preserve it.